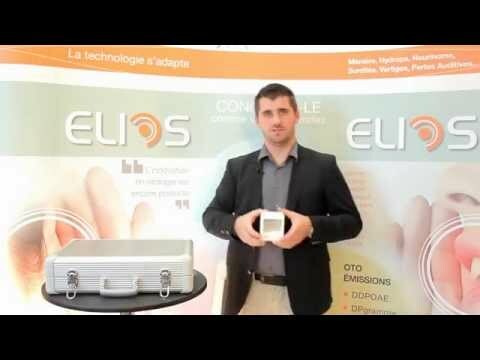 Elios is an hearing assessment device that can include up to nine different measurements (measurements of otoacoustic emissions, evoked postentials and audiometry). You can build your device by choosing the appropriate measurements for your activity. The device can be upgraded at any time with new measurements purchased later. Two modes of operation are available. Via the supplied USB cable you can control the Echodia devices from your PC or MAC with the free Echosoft software. You can choose the measurements you need in order to build your ELIOS as you wish it. Moreover, ELIOS is upgradable, so you can buy and add several functions later. ELIOS will be delivered with its carrying case. This case includes all the necessary hardware to make test and measurement. We offer a huge range of accessories and consumables , so you will be able to realize high quality tests.